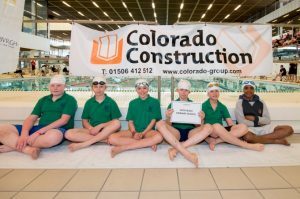 This annual event is held at the prestigious Royal Commonwealth Pool in Edinburgh and is the host for the day to 540 Primary School children from 46 Edinburgh Primary Schools. This unique event combines participation and performance with relay teams made up of pupils who swim for fun and those who compete at ‘club’ level. This mix of swimmers makes for an exciting day of racing and nail biting finishes. 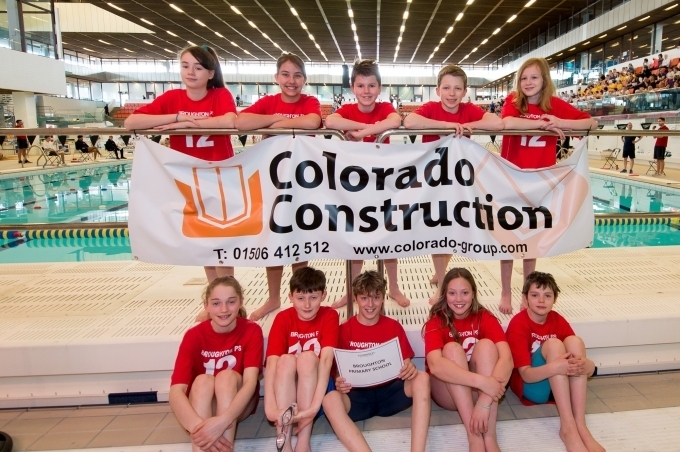 Team photos were taken, school names were called, divers registered & then the gala started with great excitement as the first race got underway. Swimmers & staff soon got into the way of the Gala & where they had to be poolside for their race! For many pupils this will be their only opportunity to be in a swimming gala, although some teams also have pupils with experience of swimming Galas as club swimmers. School teams are divided by the size of their schools into heats most entering all 3 strokes, breastroke, backstroke and freestyle. Heats underway, the diving competition started giving everyone lots to watch. Again there were 2 levels of diving competition and the standards were high, with confident pupils performing from poolside and the springboards. Thanks to Vicki Tomlinson & her dive team for running the competition. Spectators had by now worked themselves into a frenzy of excitement as their Teams progressed through to the Finals. All Finals had 10 teams competing across the pool with each team of the 4 swimmers completing a width. What a noise! All participating pupils received a certificate, a swim hat and those who finished in the top 3 places in both diving & swimming were clapped to the podium & awarded their medals.